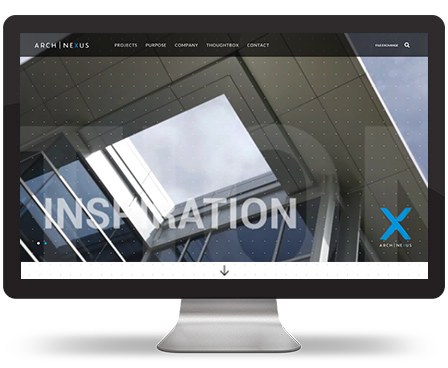 The first website we designed for Architectural Nexus used Flash technology, which afforded us cool animations and a distinguishing interface, but that was long before the advent of the always-on, mobile world in which we now live. The challenge this time was to create a site with the same visual impact, while making it accessible from any device, and easily manageable internally. The resulting modular layout accommodates projects as easily as news releases and features video content created by the Arch Nexus Visualization team. We also helped with the logo redesign that launched with the new website.